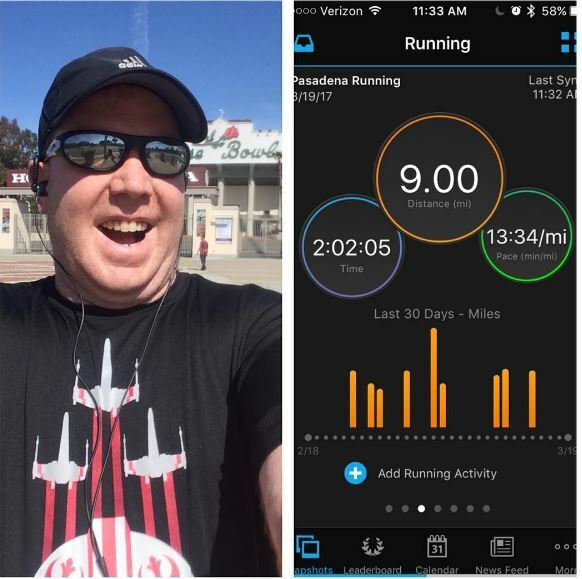 Week 7 of Rock n Roll San Diego Half Marathon training was a crazy one. I wish I could say that this was a week I got back to 4 training workouts. However, I only managed 2. There were reasons for the misses. Some of it was poor planning and some of it was bad timing. So, let’s look was what went down. The week didn’t start off that bad. I did miss on the first run of the week. 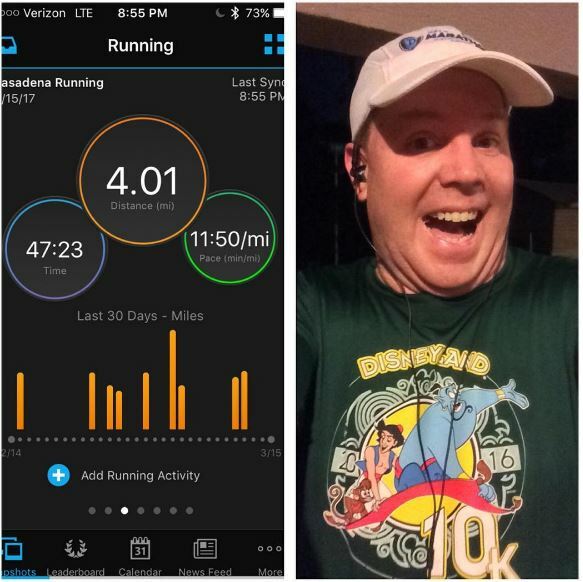 However, I did finally get out in the middle of the week for a 4 mile run again on Wednesday! Better yet, my finish time was my best of this training cycle! On this run, all of the splits worked out pretty well for me. I decided to go with a run 25 seconds, walk 95 seconds for mile 1. Then, I switched to a run 25 seconds, walk 35 seconds the rest of the way. I’ve been building towards the moment where I could do this. Mile 1 went really well at 12:18. Given the intervals I was running, I knew that this was a fantastic start! The good vibes continued through mile 2. What’s interesting is that my watch told me I finished mile 2 in 11:10 (which would have equaled my fastest mile of this training cycle)! So, to see the extra second is kind of disappointing. Oh well. It was still a fantastic 2nd mile. In this route, it’s either mile 2 or 3 that’s my fastest. On this run, it was mile 2. 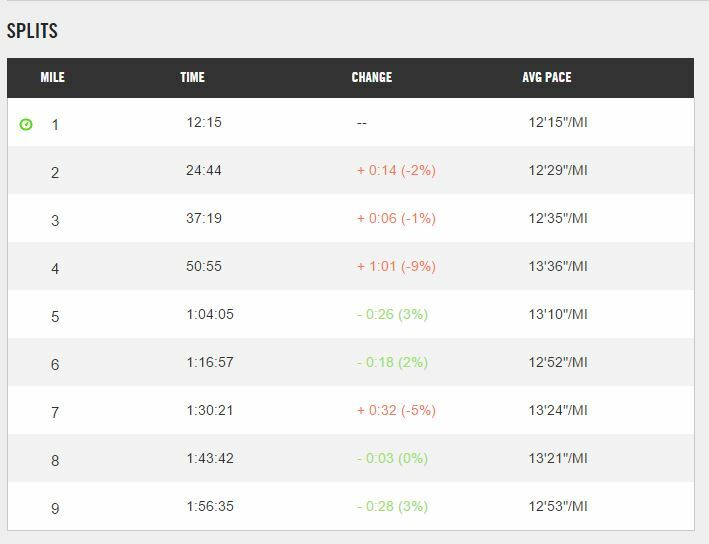 I sort of expected to be a little slower on mile 3 and was correct. The big win of this run, however was finishing mile 4 in 12:02! Keeping the run/walk intervals for all of the last 3 miles really paid off. I worked hard for this finish time and was proud of how it all worked out! My initial plan was to take Friday off so, I could get in a 9 mile run. With my boy’s first birthday party happening on Saturday morning, I knew I didn’t have time for that run then. 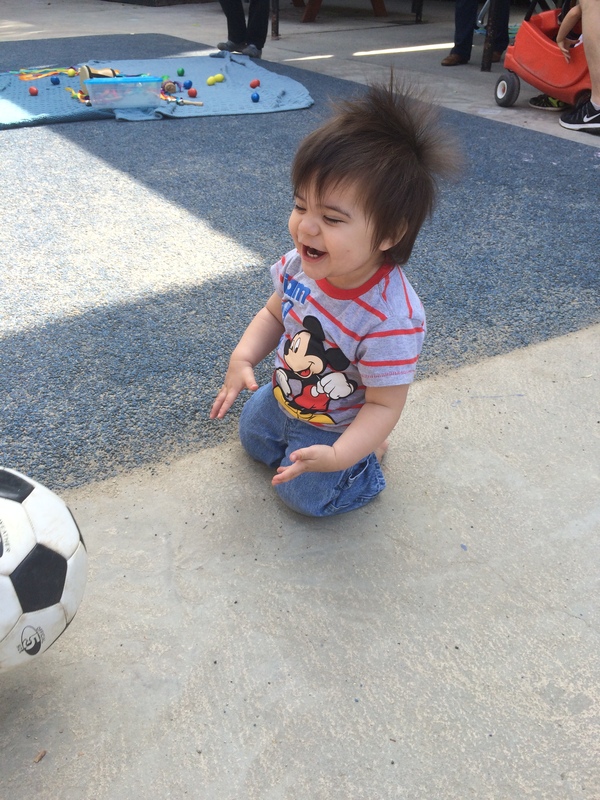 So, I took Friday off from work, dropped the boy off at daycare. Then, I came home to get ready for 9 miles at the Rose Bowl loop. Unfortunately, it was going to be a little warm that day. So, I had a small window of opportunity to get the run in. When I arrived at the Rose Bowl, I saw a voice message from the boy’s daycare. There was something missing that he needed. So, my run got put on the back burner while I headed home. It meant that I’d only get 2 workouts in at best for the week. 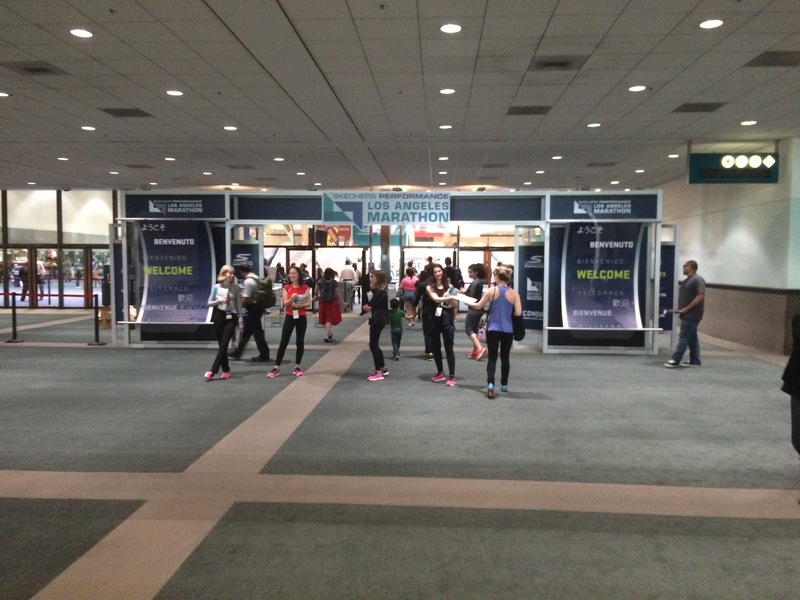 I did make it to the Los Angeles Marathon Expo in the afternoon as planned. 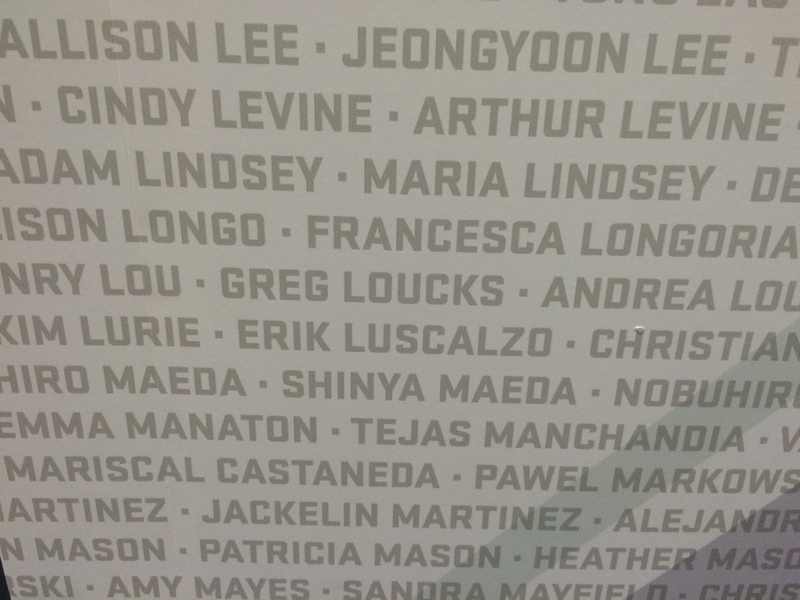 Since I wasn’t racing, it was a bit weird to go to the expo to pick up my bib and race shirt. However, I did pay for the race. So, I thought that getting the shirt was the least I could justify. After all, it’s not a finishers medal. 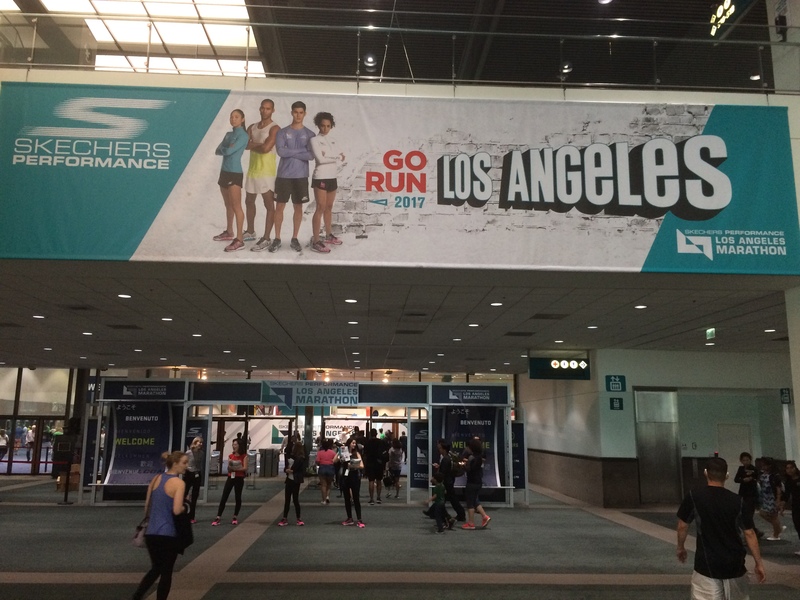 I always love the large signage at race expos! 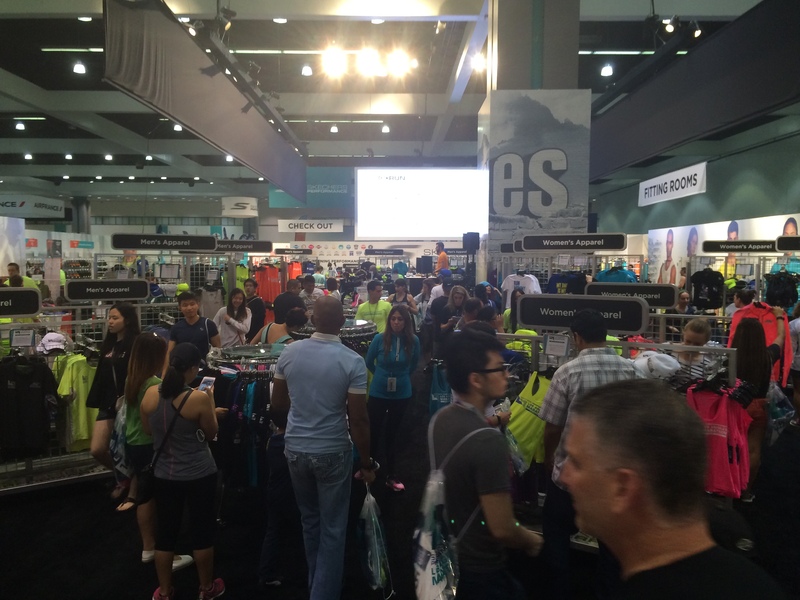 After getting my bib and race packet, I roamed through the official LA Marathon merchandise area. Sketchers was the big sponsor. It wasn’t too crowded in the official merch area. There were some cool items. However, since I wasn’t running the race, I didn’t feel compelled to make purchases. 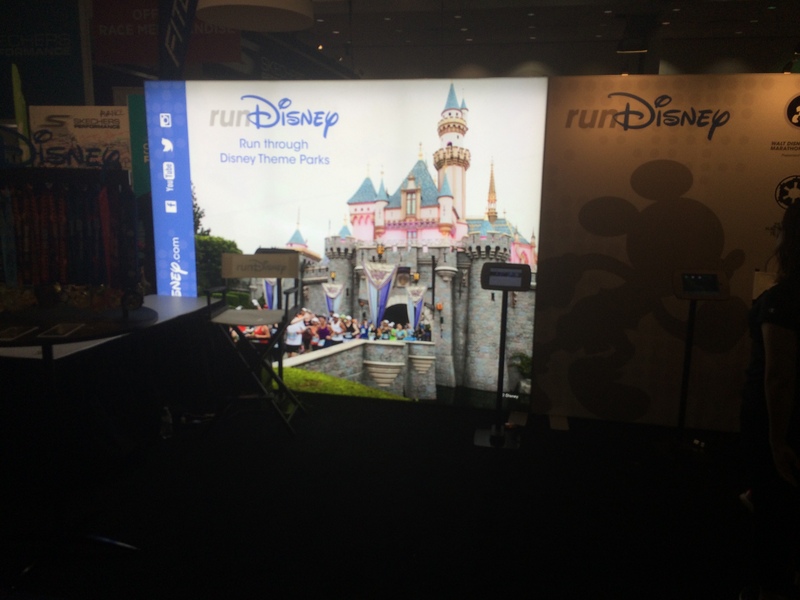 As I roamed the expo floor, I found the runDisney booth rather by accident. 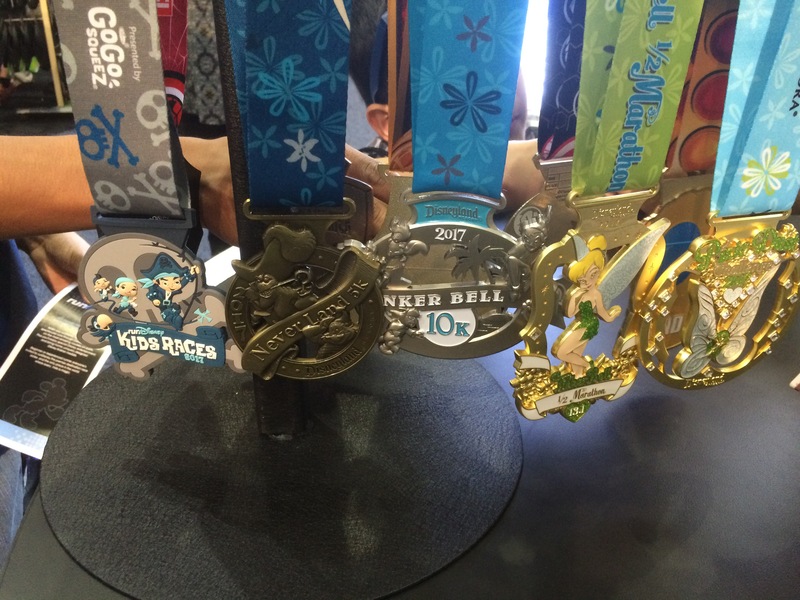 The medals for the upcoming Tinker Bell Half Marathon Weekend were out on display! 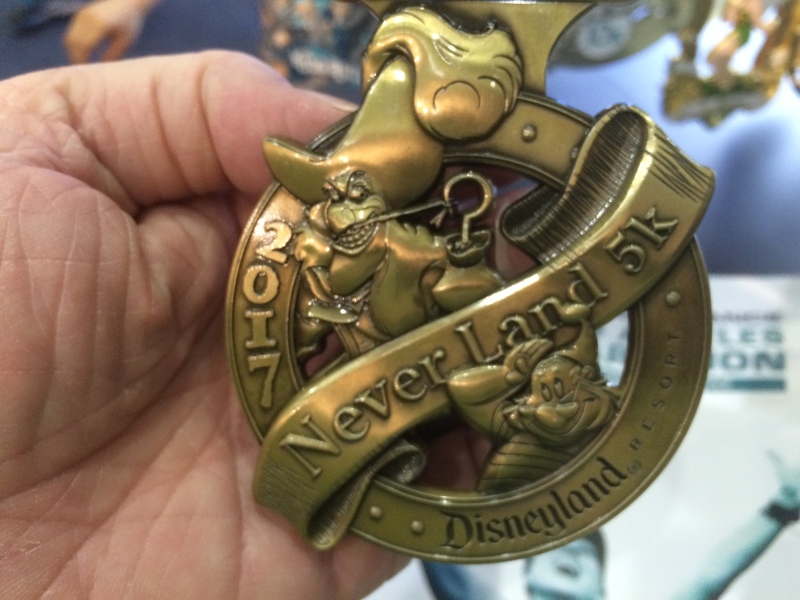 I really liked the Neverland 5K medal! And the 10K medal was pretty cool as well. 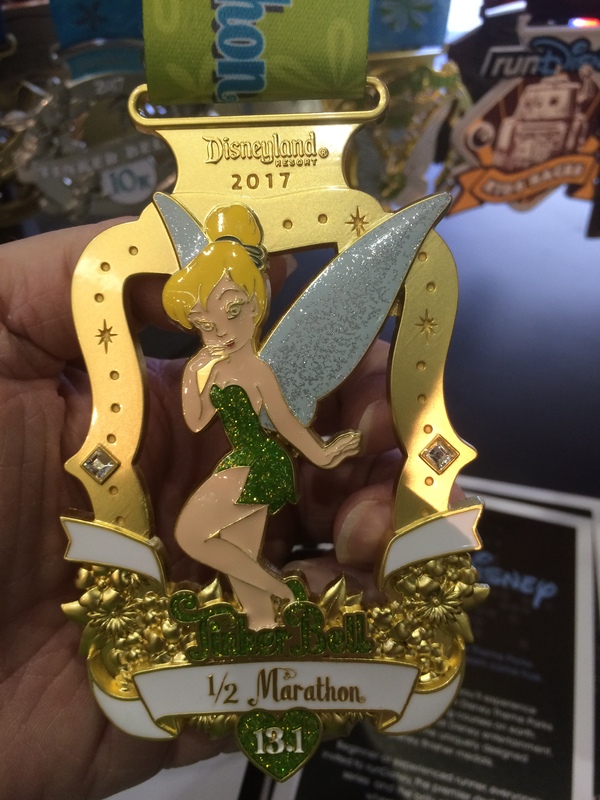 If I were a Tink fan, I’m sure that I’d absolutely love the half marathon medal. But, I’m not. It is a cool medal, though. 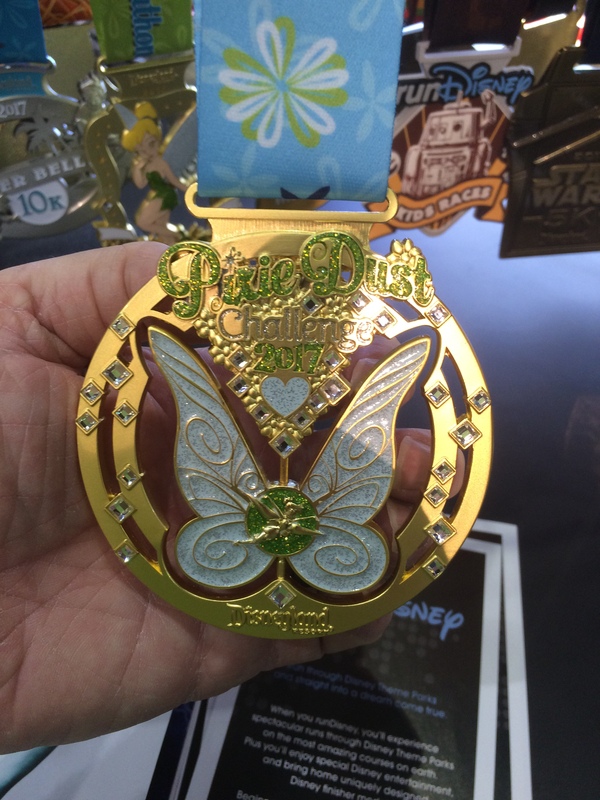 The Pixie Dust Challenge medal is pretty similar to the original Tink Half Marathon medals. However, I love it more than the previous years. 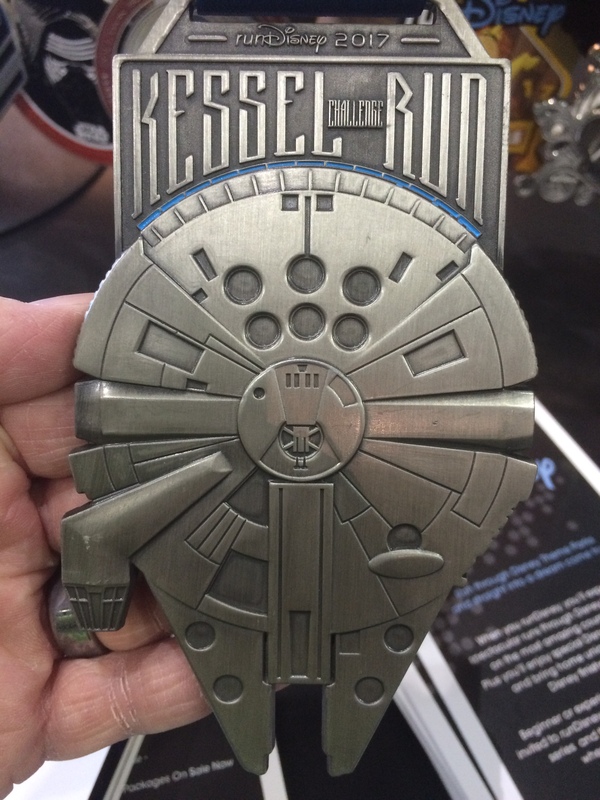 Next year, I may be earning this Kessel Run Challenge medal. It’s not official or anything. However, running the Star Wars Dark Side Challenge is on my radar for 2018. One of these years, I’ll get that Kessel Run Challenge medal. 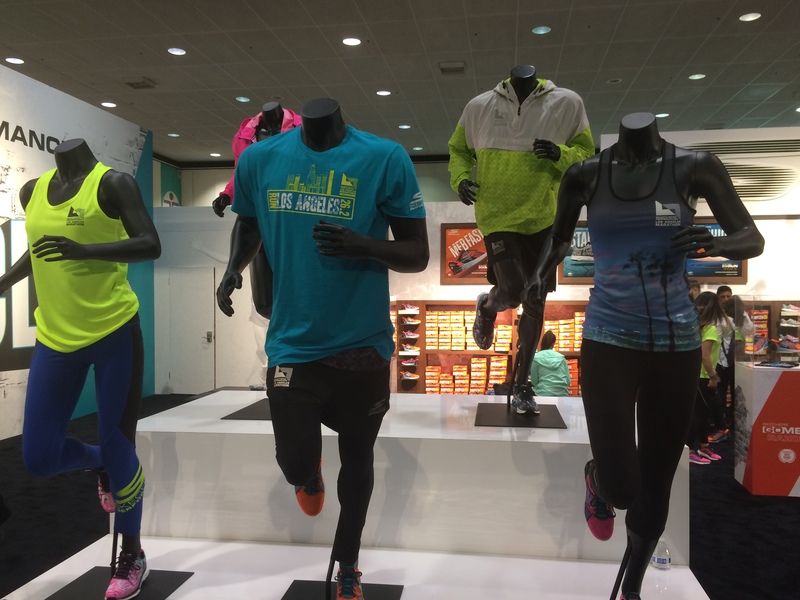 While I was at the runDisney booth, I had to ask if they had any discounts on the races. 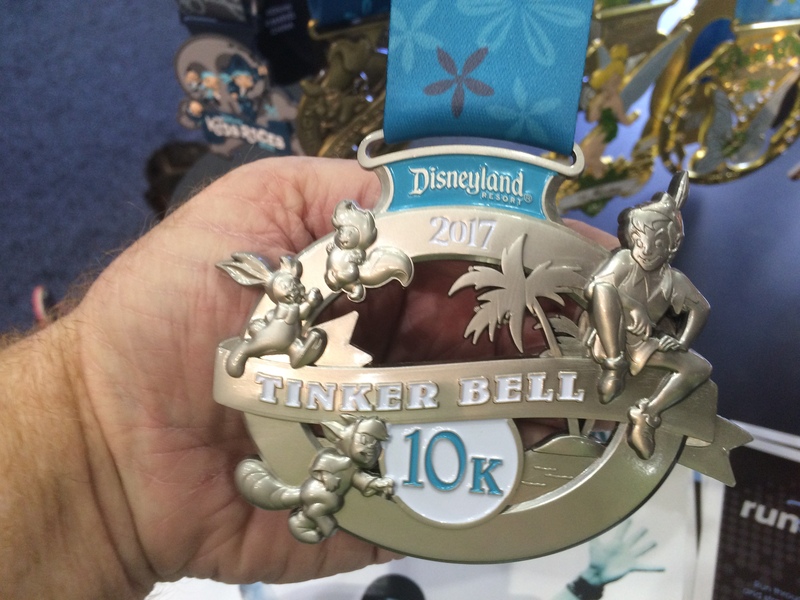 When they told me there was a $25 discount on the half marathons, I accidentally tripped and signed up for the 2017 Disneyland Half Marathon! I was on the fence about signing up for this race before hearing about the discount. I mean, that Toy Story theme is too much to resist. Right? The $25 off made the race a must-do for me. 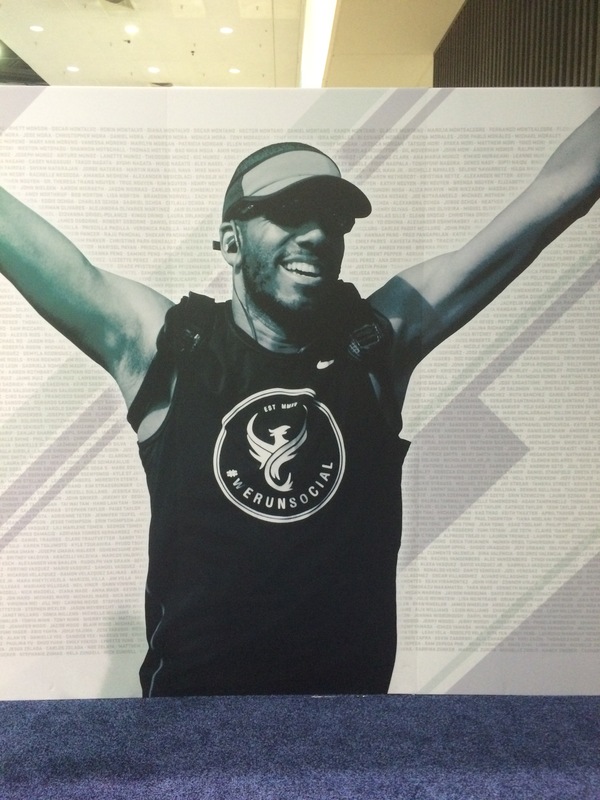 So, on Labor Day Weekend, I’ll be running the half. I won’t be running any of the other races that weekend. But, I will be in the half. 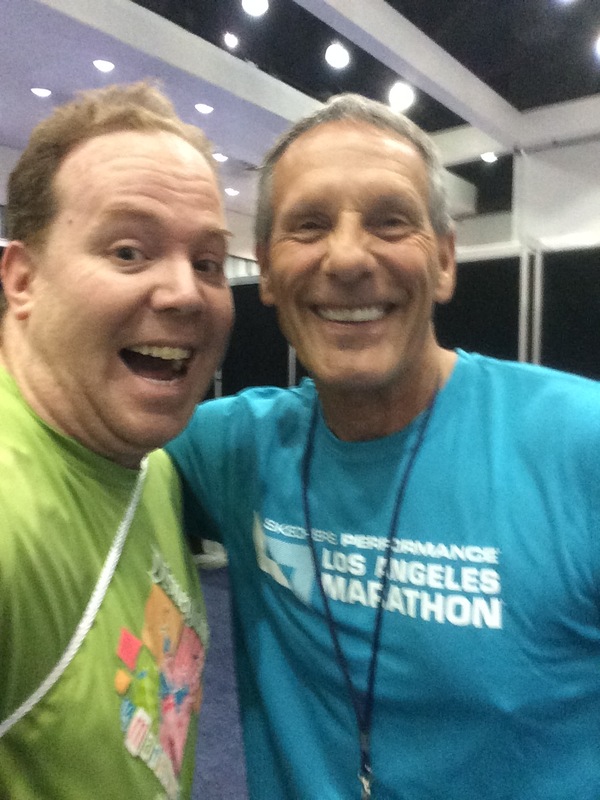 After signing up, I wandered around and found Rudy Novotny! 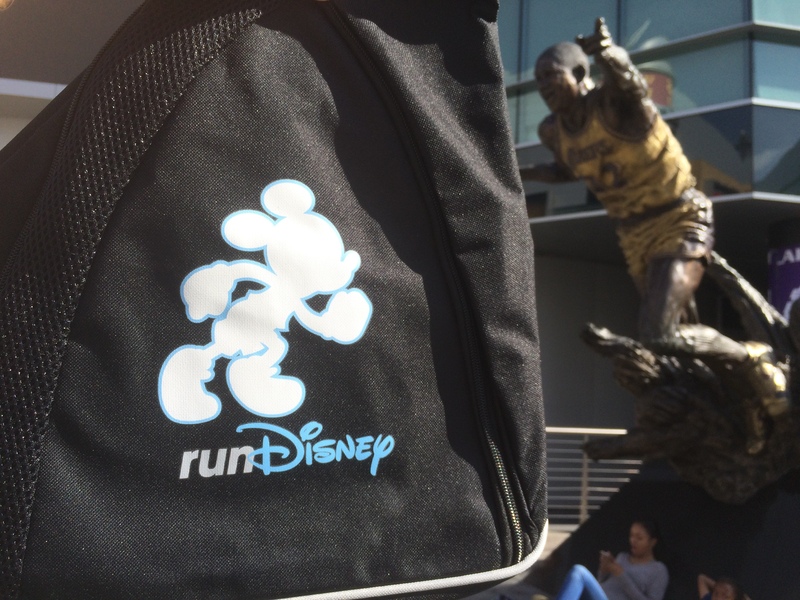 I really miss this guy at the runDisney races in California. We had a good little chat before he had to tend to his race announcer duties at the expo. 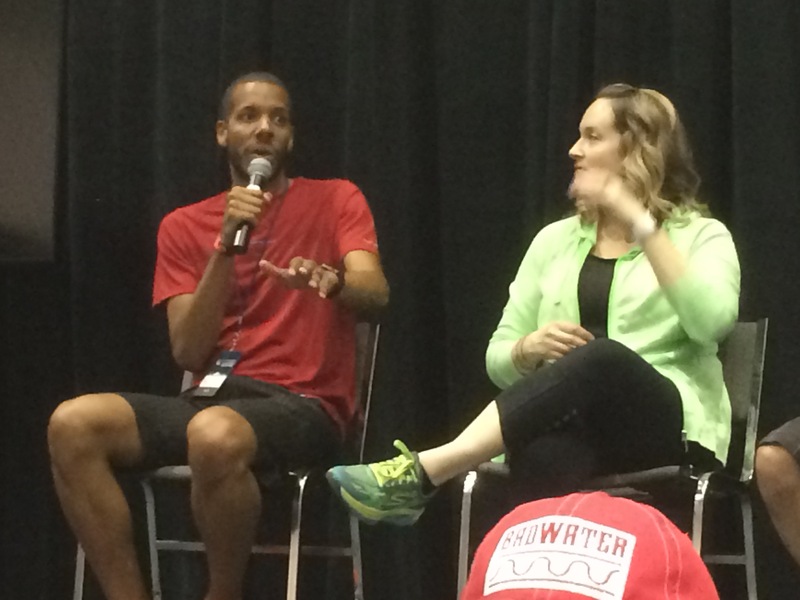 I did end up checking out the panel of Conquer Endurance Ambassadors. Captain Linzie was on the panel! Along with Half Crazy Momma! 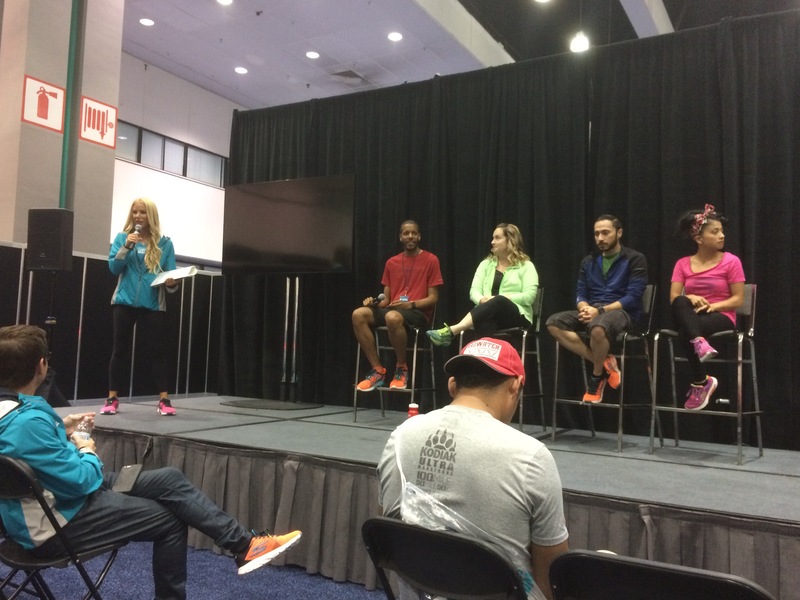 The panel offered their advice for the LA Marathon as well as some fun stories about their running careers. 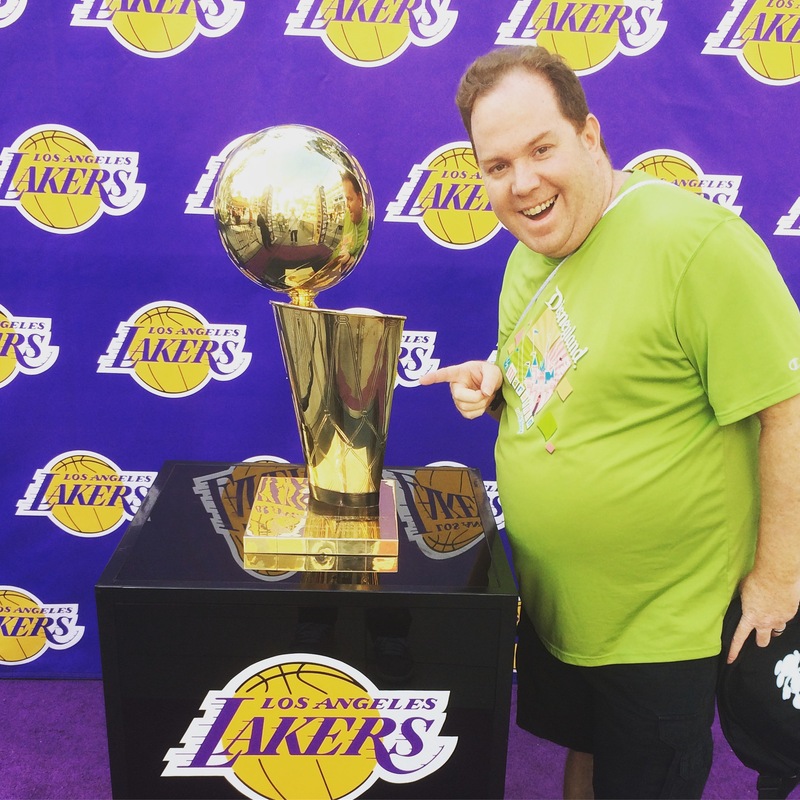 On my way back to the car, at the LA Live area, I got to see the 2000 NBA Championship Trophy! 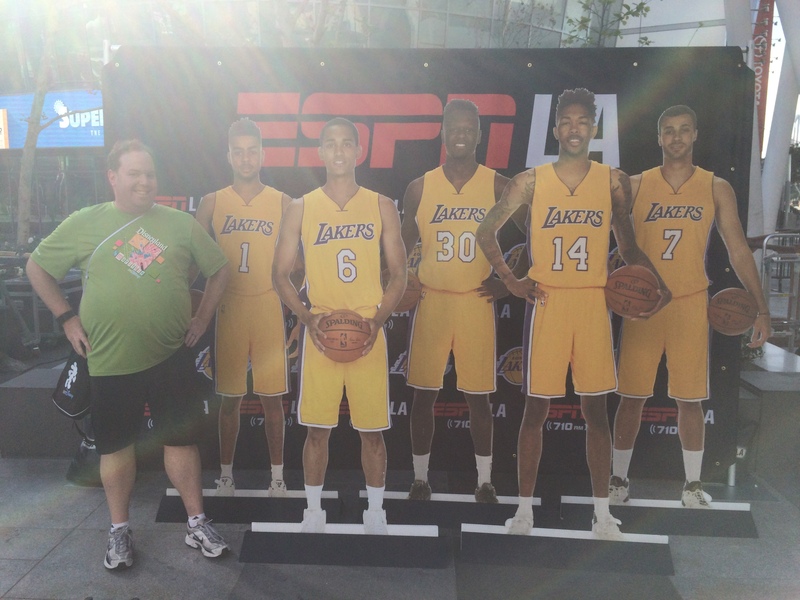 The Lakers were playing and there were lots of fun things to do in the LA Live! 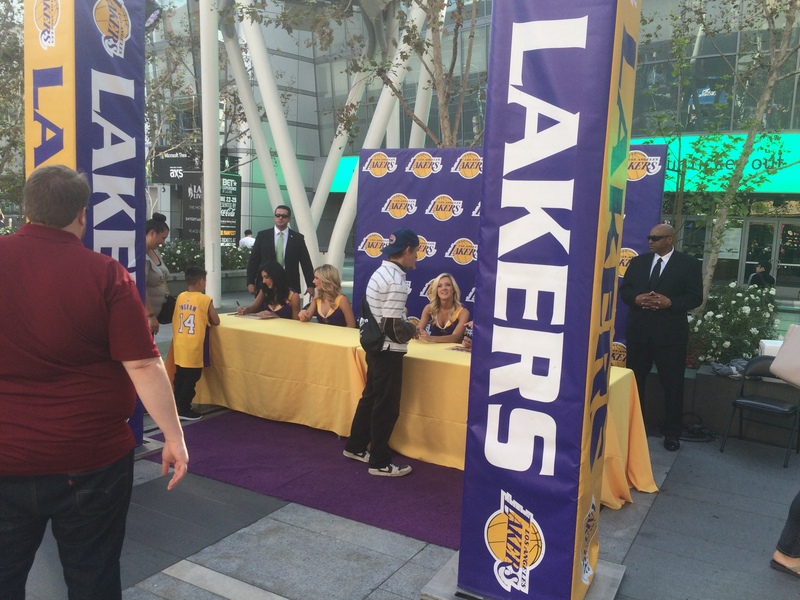 In addition to the Championship Trophy, the cutouts of Laker players, they also had some of the Laker Girls out. It was a totally fun Friday (even though I missed my run). Saturday was Colton’s 1st Birthday! Since his birthday fell on a Saturday, we got to celebrate on his actual birthday. 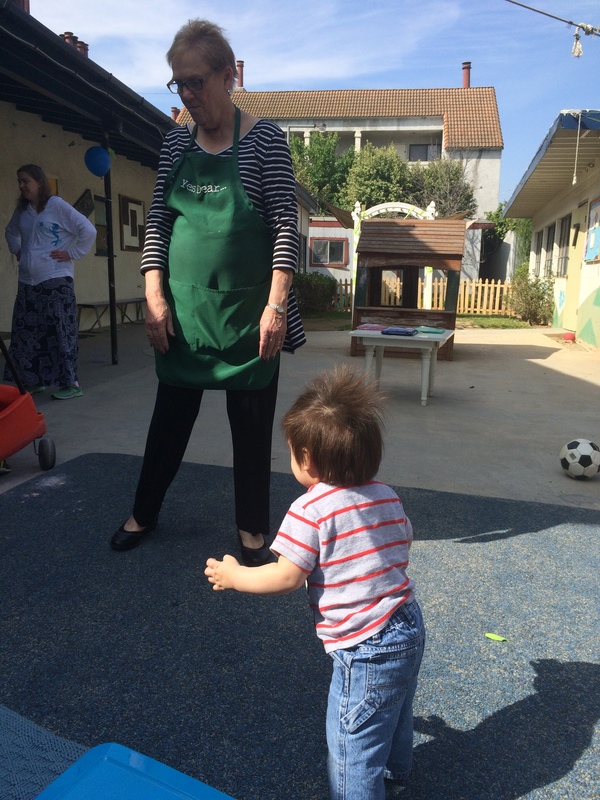 I should mention that in the week before his birthday, Colton started walking like a boss! He’s getting better and better at his walking skills every day! 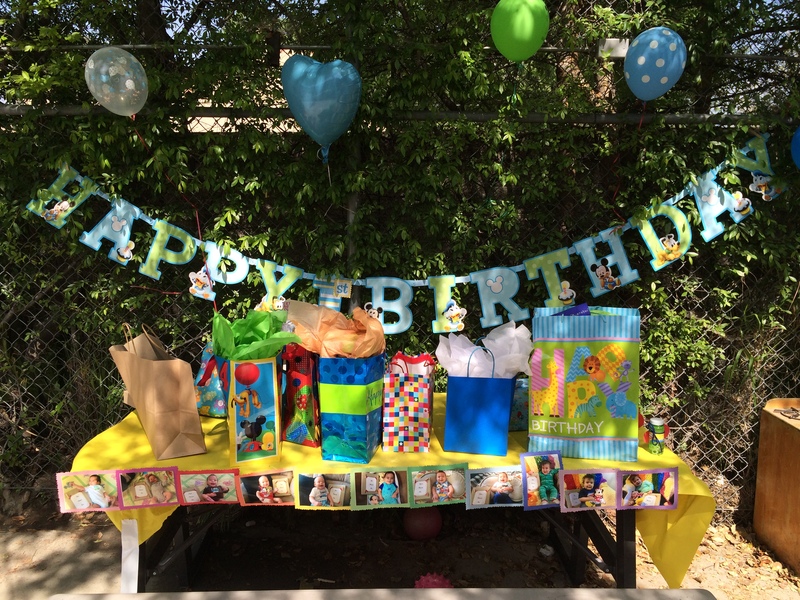 He had lots of fun at his party! We had several friends and family on hand for the big day. Of course, at the end of the celebrating, I was pretty wiped out. So, making a late night 9 mile run or a gym workout wasn’t in the cards. 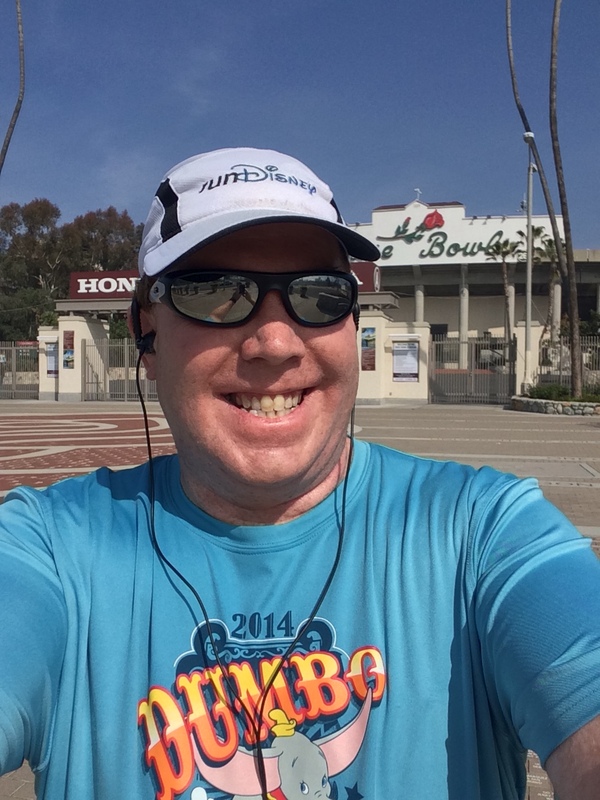 On Sunday morning, I did head out to the Rose Bowl for 9 miles. I wanted to do it at the Rose Bowl because I ran 9 miles at the Rose Bowl almost exactly 1 year prior. I believe I did this run 2 days after Colton was born, but had not idea yet. Here were the splits from 2016. Here are the splits from this last Sunday. As you can see, it was not my day. 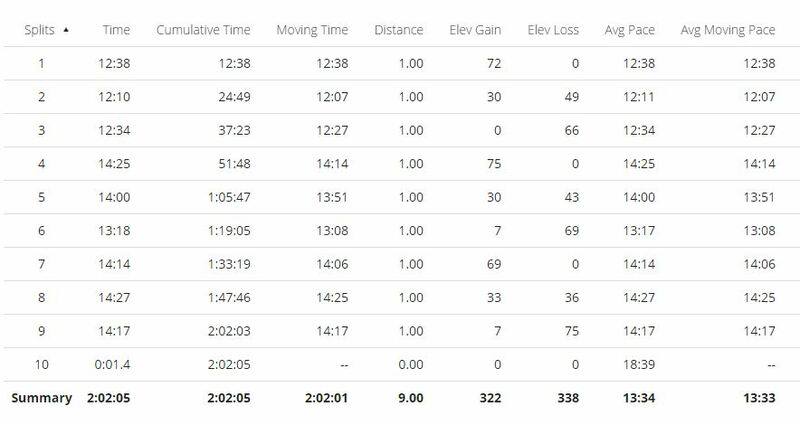 I was slower at every mile as compared with what I did in my last long run before becoming a running daddy. Runs like I had on Sunday are rough to finish. I’ve got to admit that this one almost didn’t even happen. There were a few delays on Sunday morning heading out. I sort of didn’t want to run the miles. 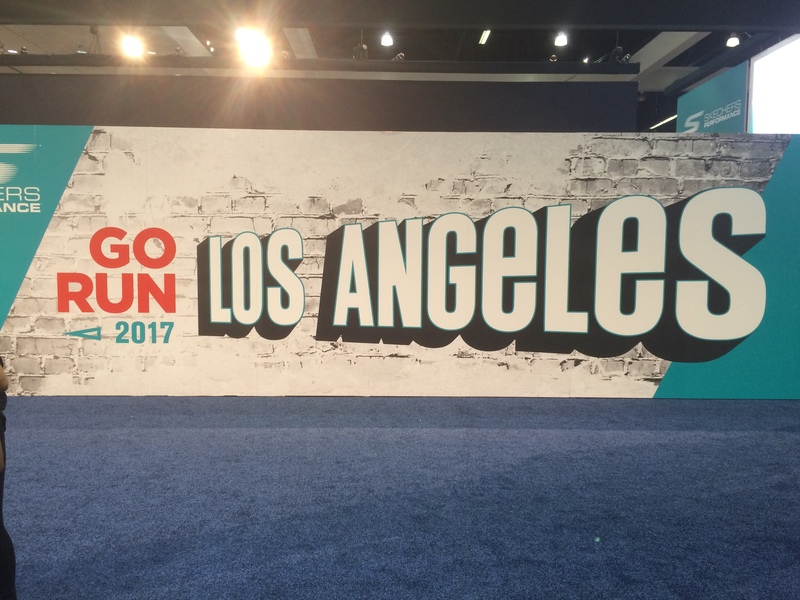 Even with the LA Marathon going on that I had signed up for and wasn’t running because of missed training runs, I still struggled with motivation. Ultimately, what got me out the door was thinking about how I wasn’t running the LA Marathon because I skipped too many runs. Right from mile 1, I felt slow. The last quarter-mile is one that I tend to slow down a bit while finishing. I’m not sure why. However, at the 0.75 mile mark, I would have thought I’d finish mile 1 in just over 12 minutes. Maybe, I’d be 10 – 15 seconds over 12 minutes. When I saw that I didn’t cross the 1 mile mark until 12:38, I was a little bummed. However, I made the switch from a run 25 seconds, walk 95 seconds to the run 25 seconds, walk 35 seconds that I’m trying to get into my body (and want to run at the Rock n Roll San Diego Half Marathon). It was a little deflating to see that I didn’t finish mile 2 in under 12 minutes. I really thought that the switch in my run/walk intervals would have brought me under the 12 minute mark for mile 2. That made mile 3 a challenge mentally. 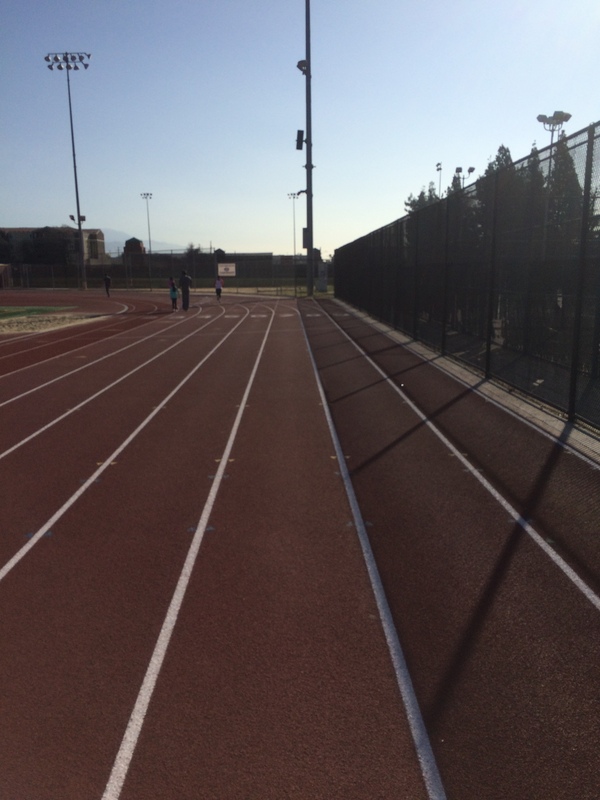 I struggled with what kinds of intervals I should do. I had a couple of run 25 seconds, walk 95 seconds intervals in mile 3 because I was unsure of what to do. When I finished mile 3 (and the first loop) in over 37 minutes, I seriously thought about quitting. I mean, I was going really slow and I was at the end of a lap. So, I could easily go back to the car and live to fight another day. Somehow, I convinced myself to go another lap. I decided to finish the second set of 3 miles with a pure run 25 seconds, walk 95 seconds. The second lap resembled what I’m used to on this loop. Mile 4 was slow, mile 5 a little faster, and mile 6 the fastest of the loop. On the second time around the loop, I felt like I was getting into a little bit of a groove. I was going slow, but hitting all my run/walk intervals. Midway through mile 6, I was feeling good enough to convince myself to finish off the full 9 miles. As I got going on the last lap, my only motivation was to be able to say I finished. I kept reminding myself that missed runs and missed miles will hurt me more than a slow run would. I thought about how I still have 4 more long runs to get ready for Rock n Roll San Diego. I thought about how the last 2 long runs are probably the key to time increases. So, even though I was slow on this run, by the time I get to the last long run of 17 miles, it will have me in a good place to PR. This coming weekend will feature another track workout. So, it’s back to work. I can’t let one bad run define this training cycle. I don’t want to ever miss a race again due to missing too many training runs. It’s time to turn it around! Bring on Week 8! 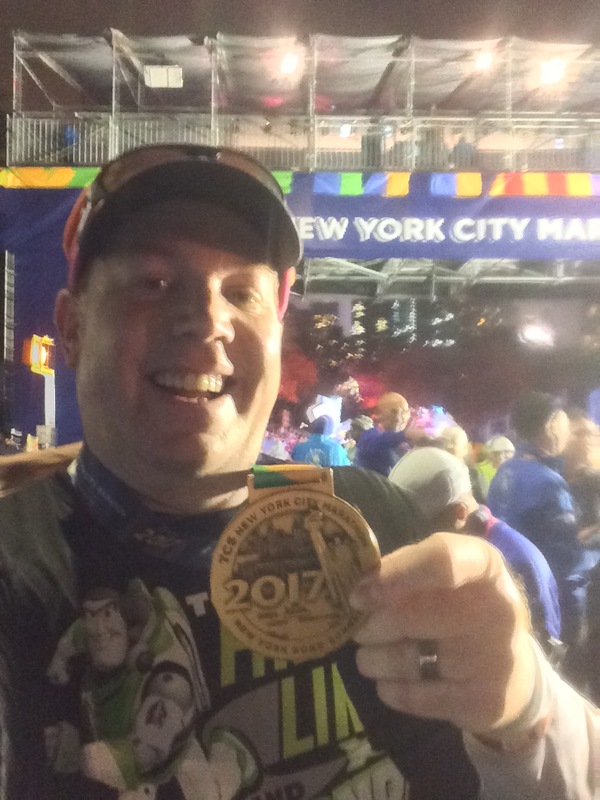 I’m In for the 2017 Disneyland Half Marathon!